The FlexMod Electronic Timer for Lighting prevents the internal lights inside a trailer from being left on and draining the battery. Vehicle operator operates a momentary switch which turns lights on, allowing safe operation inside the cargo compartment. After 20 minutes the FlexMod flashes the lights and gives the operator increasingly urgent warnings to either exit the cargo compartment or reactivate the timer before the lights go out. Perfect for use on delivery vehicles, utility vehicles, trailers or straight trucks. Compact design (4” x 3” x 1”) unit is waterproof, dustproof and vibration-proof. Mounts anywhere on a vehicle, even places where road-splash is a problem. Sealed to IP67 standard. Automatically turns interior lights off – protects starting batteries by eliminating the problem of lights left on overnight. No more jump starts! Provides a series of increasingly urgent warnings within the cargo compartment, before lights turn off – gives the driver the option to reset or exit the work area. Factory programmable unit is highly versatile: a broad range of time and warning presets to match any special application. 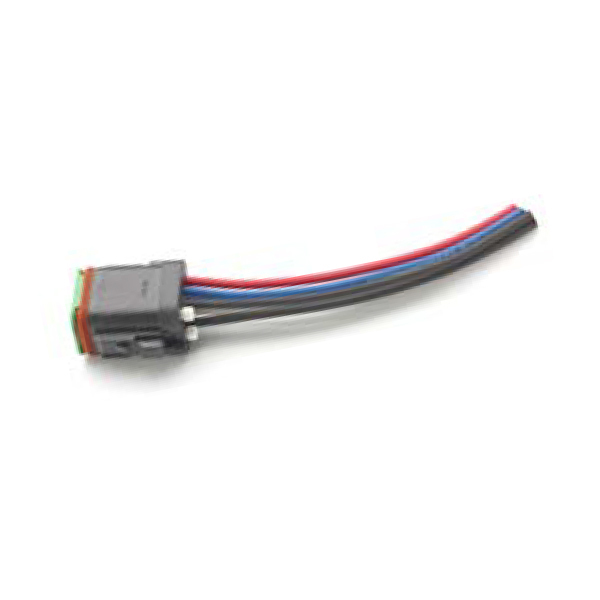 Unit is autoranging - senses 12V or 24V systems. Operator turns cargo compartment lights On. After 20 minutes compartment lights provide warning by blinking three times. Operator may re-set switch at this time - cycle will start again. After another 20 seconds, lights blink three times at a faster rate. Operator may re-set switch at this time - cycle will start again. After a further 20 seconds, lights blink three times at a faster rate and then switch Off. Operator may re-set switch at this time - cycle will start again.